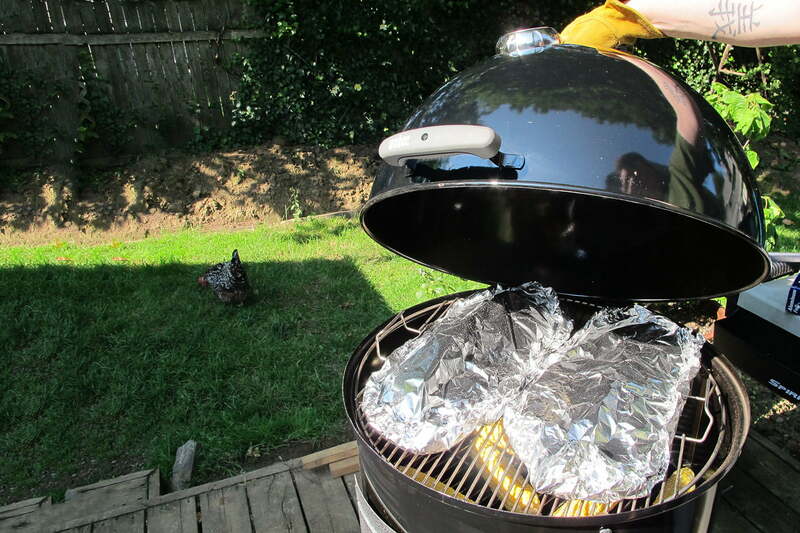 Weber's Smokey Mountain Cooker is so well designed that it will make you a better cook. Unfortunately, I didn’t take his advice. So over the years I’ve ruined pounds and pounds of meat, and purchased more smokers than I care to think about. Had I purchased the right smoker initially, I would have saved money and avoided a lot of headaches. But who knows which smoker to pick? Well, at $299 for the 18 ½ inch model and $399 for the 22 ½ inch, you can’t go wrong with the Weber Smokey Mountain Cooker. Focus on rubs and sauces or just enjoy a cold beer while waiting for your meat to cook. A good smoker should be able to maintain a slow, steady heat for a long period of time, allowing the tough fibers in cuts like ribs or pork shoulder to slowly break down and become tender. The key temperature range is approximately 200 to 250 degrees Fahrenheit, so a quality smoker needs to be able to get up to temperature quickly and then steadily maintain the heat over time. Some cheap smokers have trouble maintaining temperature; the water pan is too small in others, necessitating frequent opening of the smoker to refill water, which results in temperature fluctuations. The Weber Smokey Mountain Cooker came up to temperature within 10 minutes of spreading the lit charcoal out in the base and assembling the smoker. The water pan held enough water to smoke for about three hours at a time, and refilling during the smoking process was as easy as pouring water out of a tea kettle into the pan. A built-in temperature gauge in the lid makes monitoring the progress of your items easy, and the two-level grill inside the unit provides plenty of surface area to barbecue larger quantities. Once the initial charcoal was started and the cooker assembled, temperature control was easy and stayed steady through the use of minor adjustments to the bottom vents. To raise the temperature, merely open the vents more, and to lower the temperature, adjust them to reduce the airflow. A large door allows for easy access to the charcoal, so adding wood chips or additional charcoal doesn’t interfere with the food above. Usually, new smokers or grills need several uses to season them before producing top-quality food, but the results from the Weber Smokey Mountain Cooker were impressive even during the first trial. Overall, classic barbecue standards like ribs, brisket and chicken were outstanding, and smoking a side of salmon resulted in a professional-quality product. Few tools are so easy to use and so well designed that they will make you a better cook. The Weber Smokey Mountain Cooker is one of those products. 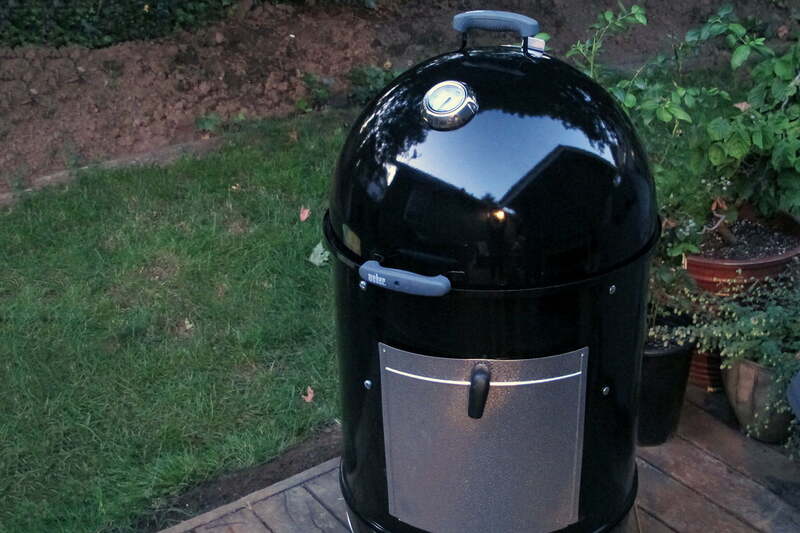 It produces great food, it is easy to master, and it is by far the best smoker I’ve ever had the opportunity to use. Whether you are a novice chef or a seasoned pit master, the Weber Smokey Mountain Cooker will take care of the barbecuing, allowing you to focus on rubs and sauces or just enjoy a cold beer while waiting for your meat to cook.